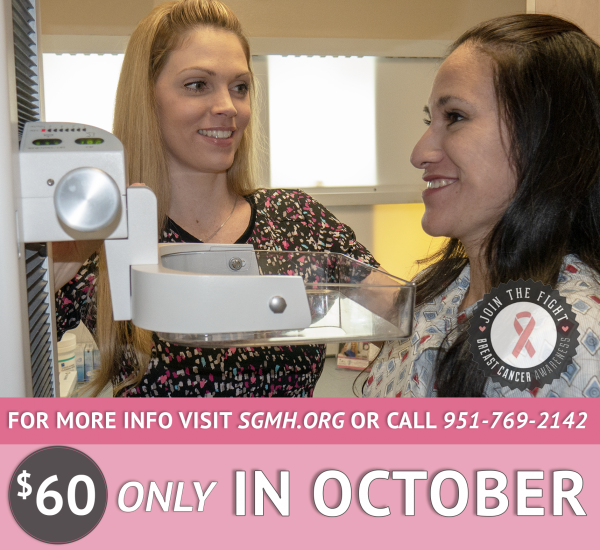 Early detection saves lives and that’s why at San Gorgonio Memorial Hospital we are showing our support for Breast Cancer Awareness Month by offering low-cost mammograms all month long! In, addition, SGMH is giving away 15 FREE MAMMOGRAMS! Learn about the latest in digital mammography, and about other services available locally to help in the diagnosis and management of breast cancer.